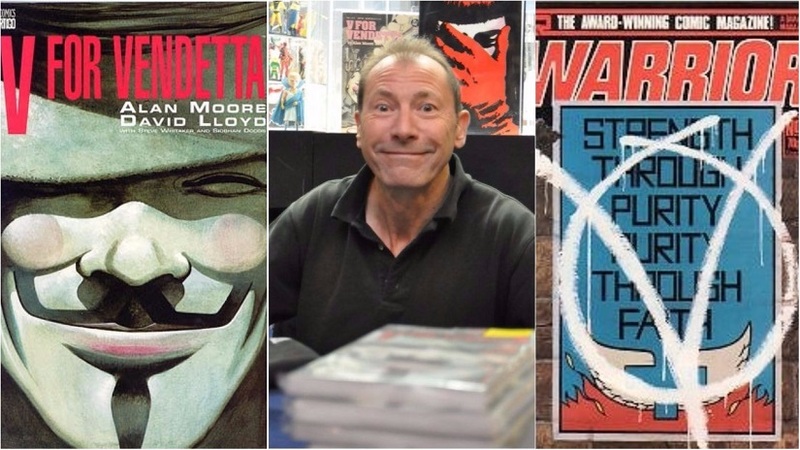 More than three decades after they collaborated on it, Alan Moore and David Lloyd’s graphic novel, V for Vendetta, seems as relevant as ever. Its masked vigilante V – whose look was based on Guy Fawkes, one of the conspirators of the Gunpowder Plot – has served as an inspiration beyond the realms of pop culture. When the Occupy movement that swept parts of the world, when the hackers’ collective Anonymous wanted a symbol, they turned to the iconic smiling mask that Lloyd and Moore’s anarchist character wore. The manner in which V (and what he stood for) has endured, brings to mind another popular quote from Vendetta: ‘Ideas are bullet-proof’. Bullet-proof they may be, but Lloyd himself admits that he never expected the character he ideated to become a symbol for resistance that so many people would adopt. “You can’t imagine something like that. And it’s an accident, because it (the mask) was meant as merchandising in a movie!” Llyod said, speaking to Firstpost from the sidelines of the Mumbai Comic Con 2017; the veteran comic book artist was a special guest at the just-concluded event. Llyod’s worked on a several noted characters and titles apart from V – Nightraven, Dr Who, the Wasteland series, Hellblazer, and most recently, Kickback. Yet Vendetta is what he’s best known for. Does he ever feel like it cast a long shadow over the rest of his work? As an artist, Lloyd has worked with some of the best writers. Alan Moore, Grant Morrison, Steve Moore are just some of the names that appear on Lloyd’s list of collaborators. And while he speaks well of them all, it’s Jamie Delano who comes in for special praise. Having been part of the comic books industry since the 1970s, Lloyd has seen it go through quite a few ups and downs. Looking back on it, he seems to have mixed feelings about what’s been achieved in these decades. He’s glad, on the one hand, that there are more independent books now, that more strips are published in book form (originally, not just collections. On the other, he’s disappointed the industry hasn’t moved on. Up Next: Has Sara Ali Khan rejected Anushka Sharma’s production on Abhishek Kapoor’s insistence?